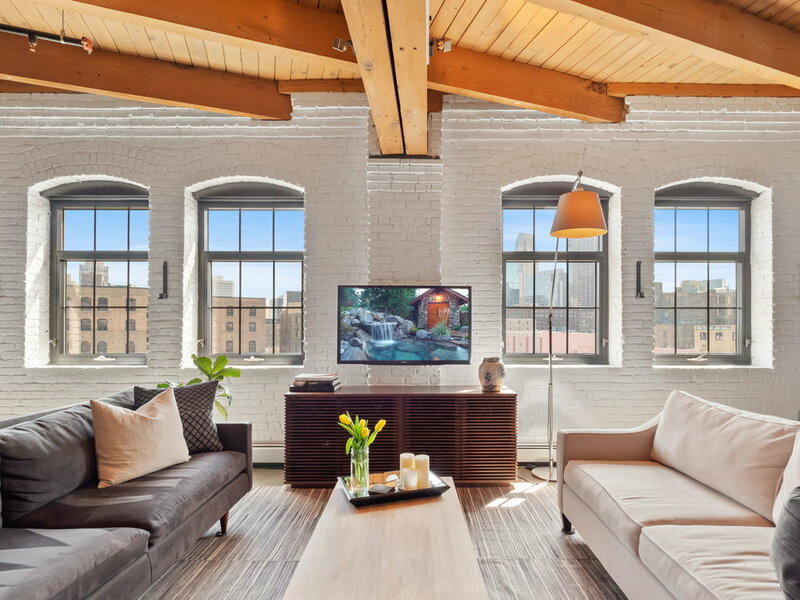 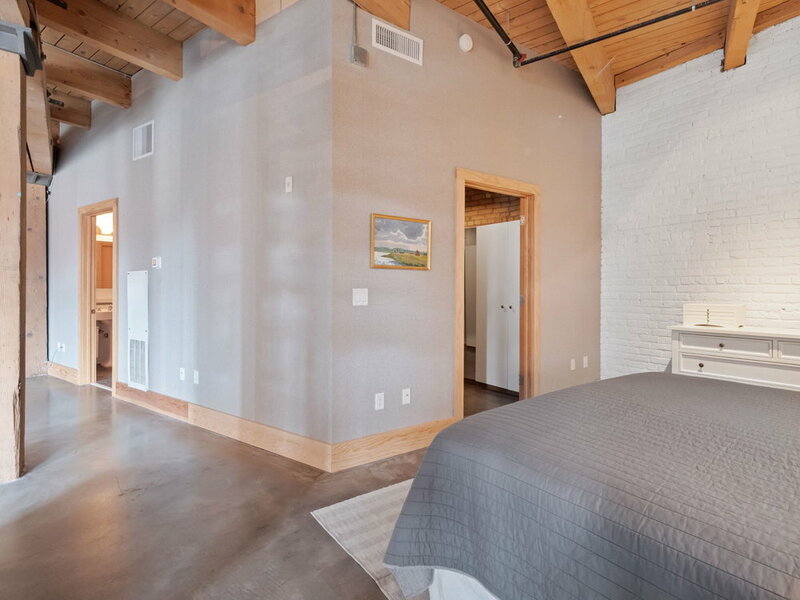 Security Warehouse Lofts is the closest you will get to NYC living in our very own North Loop! 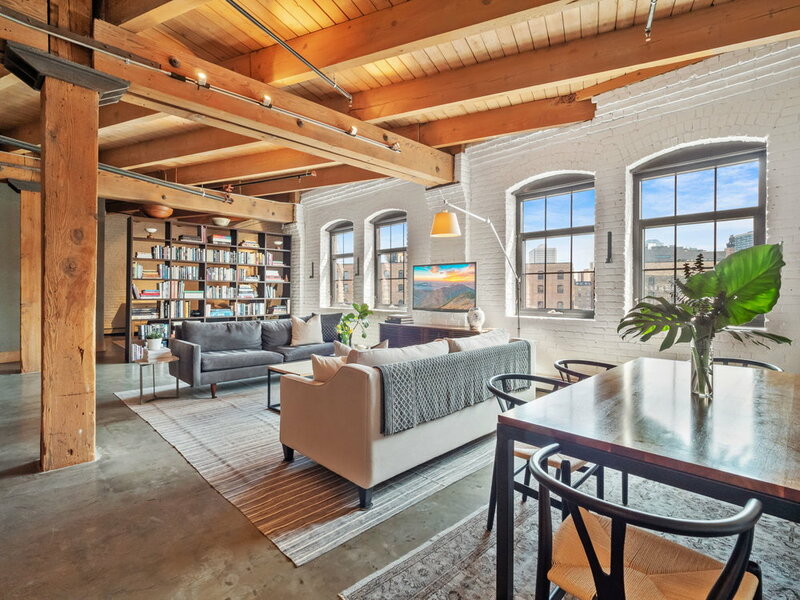 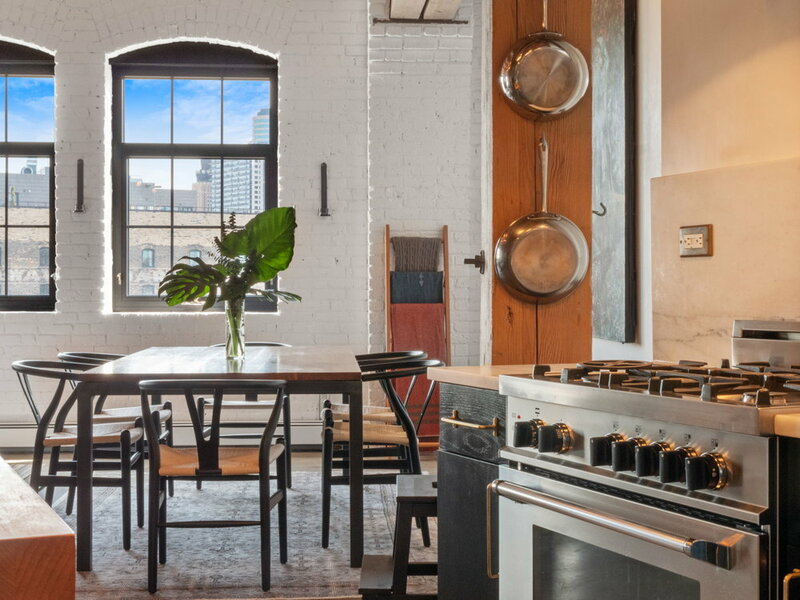 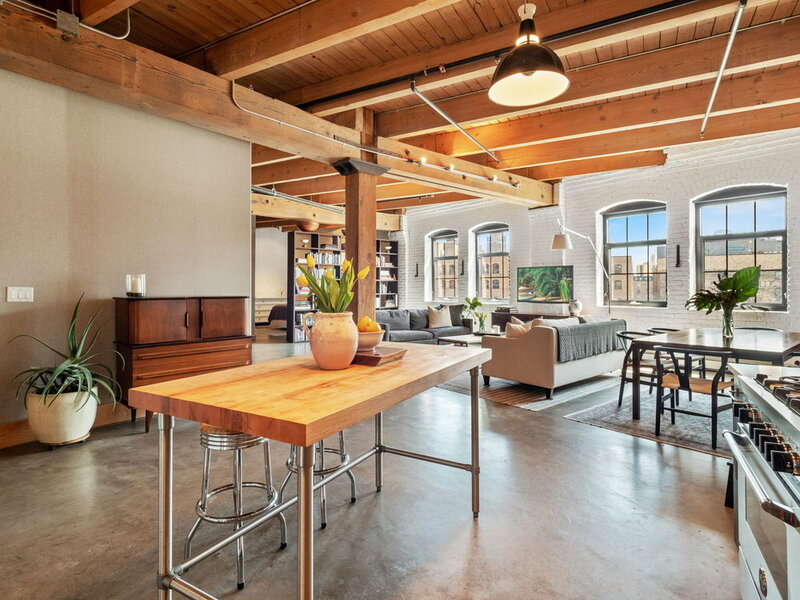 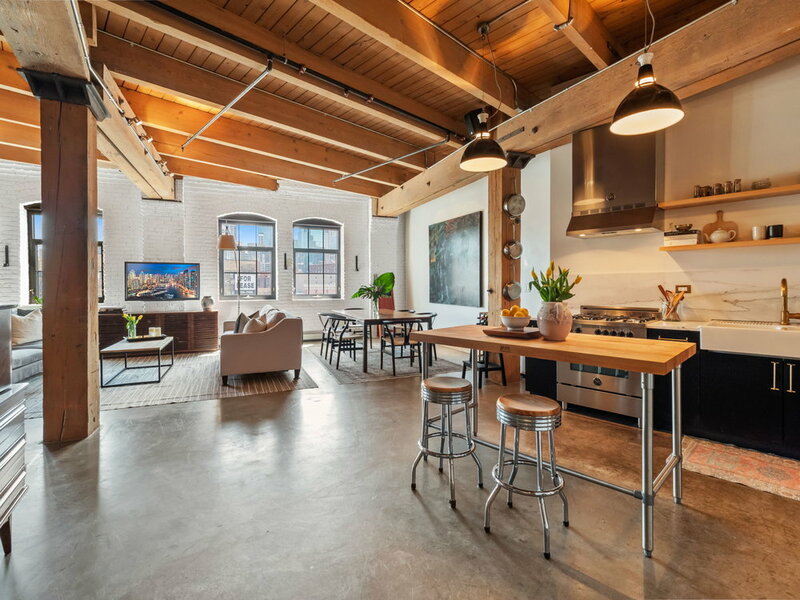 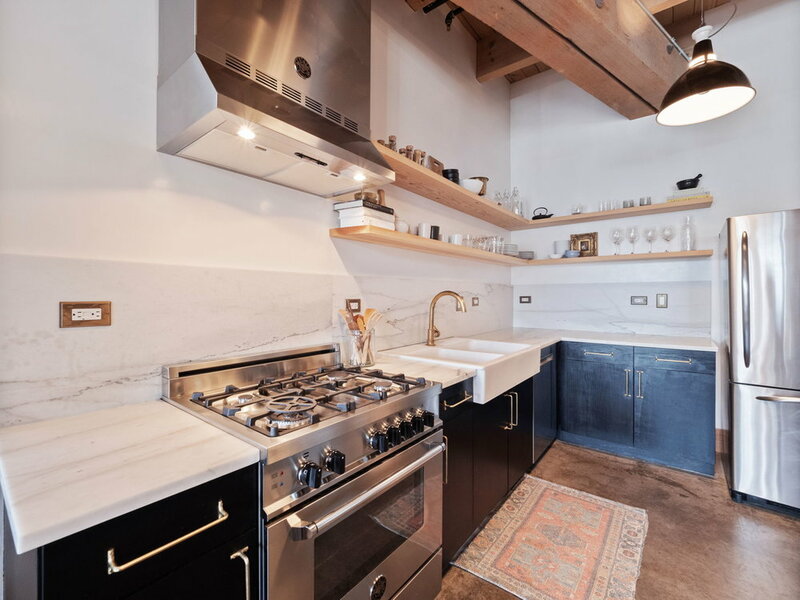 This authentic loft is the real deal, with original exposed post and beam timber frame, open floor plan and white washed brick walls. 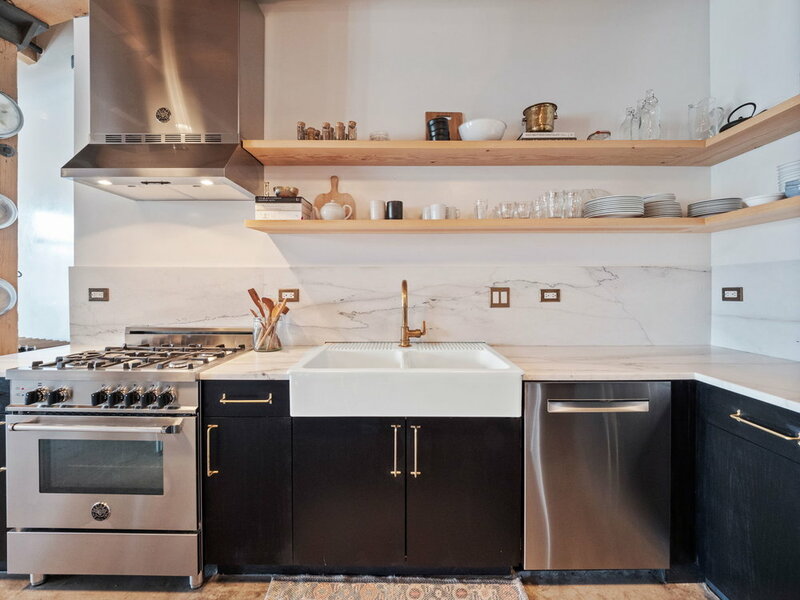 Sleek and modern, with a beautiful kitchen featuring Italian Bertazzoni gas range, open shelving and custom hardware. 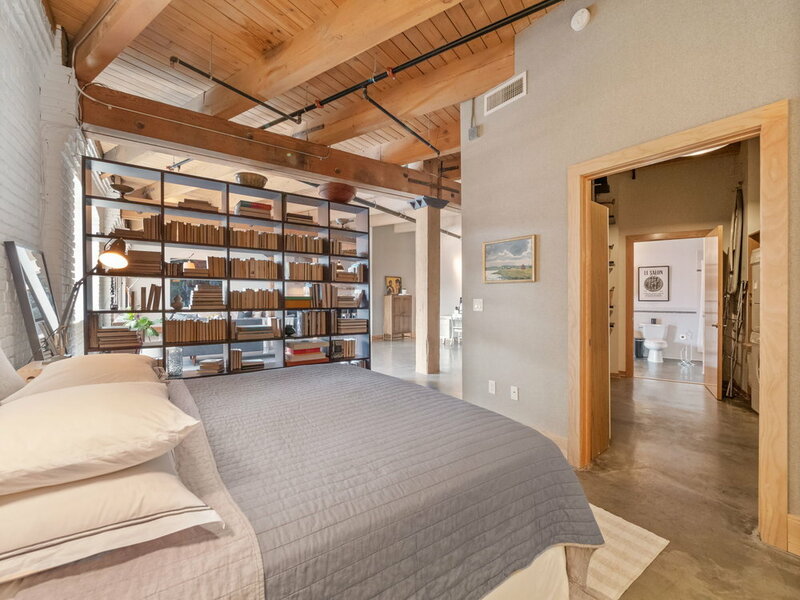 Thoughtful details throughout include custom floating bookshelves, custom wall treatments. 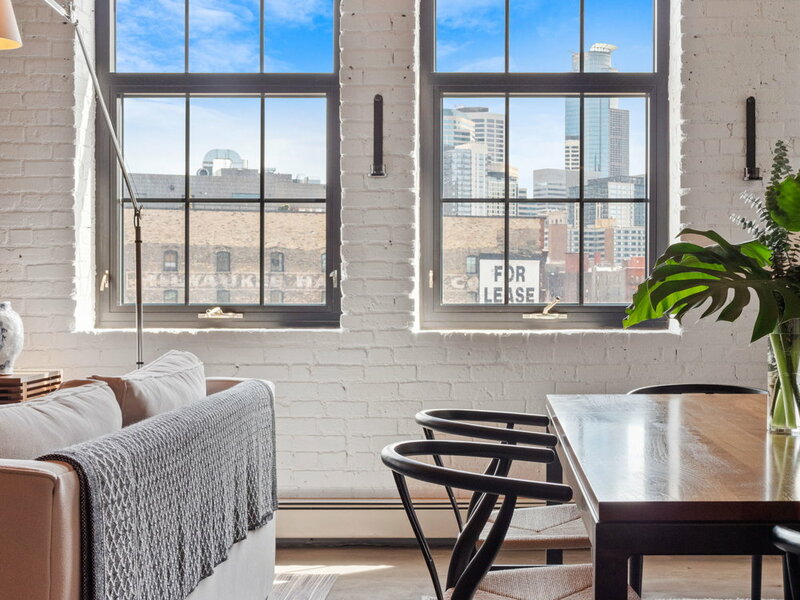 Huge walk in closet, loads of sunlight and downtown skyline views! 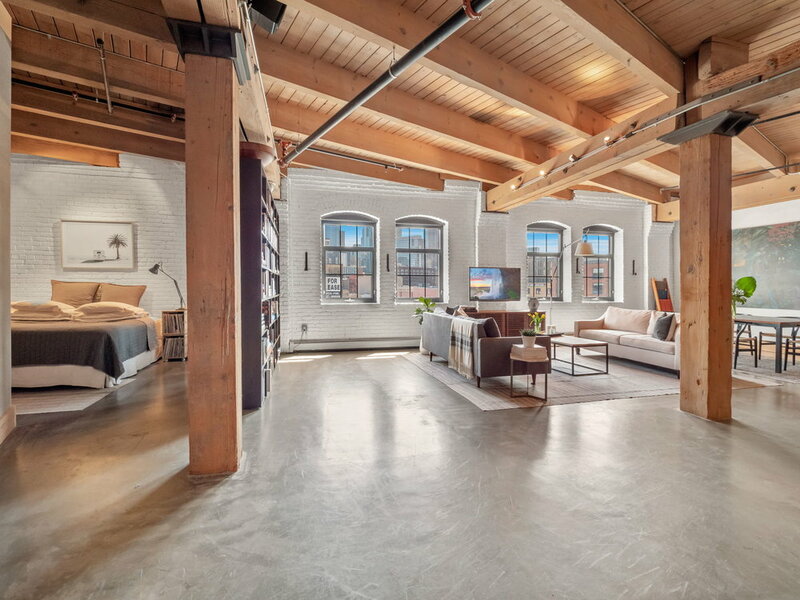 TWO adjacent parking stalls and private storage. 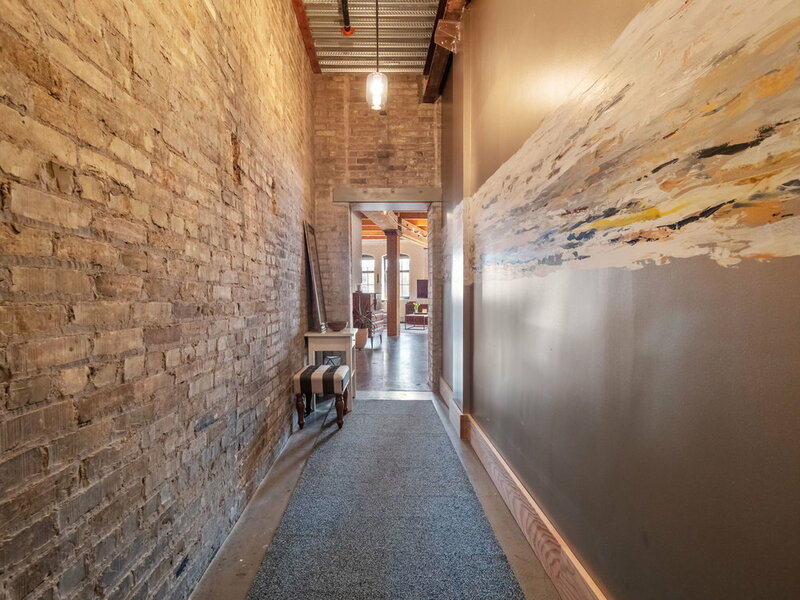 Walking distance to the best of North Loop restaurants and boutiques. 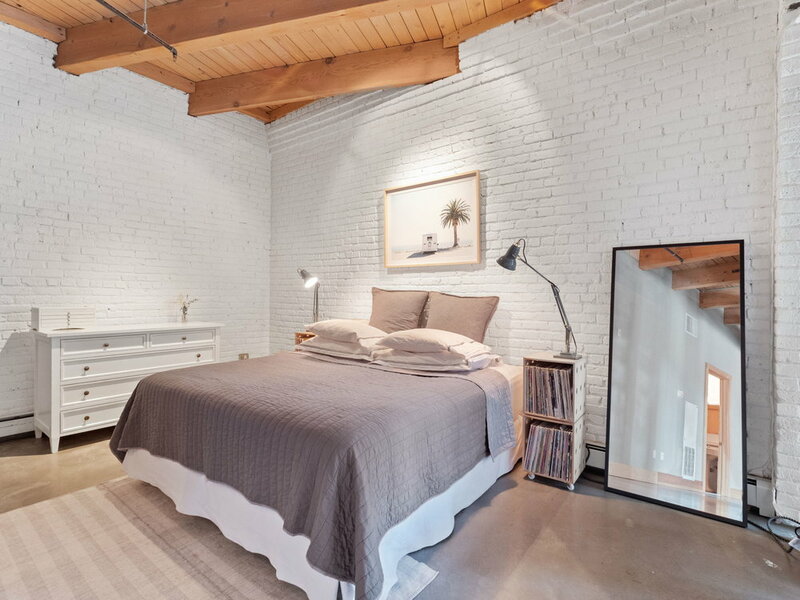 This will sell fast!